Commemorates the far-ranging chief trapper of the Hudson’s Bay Company. 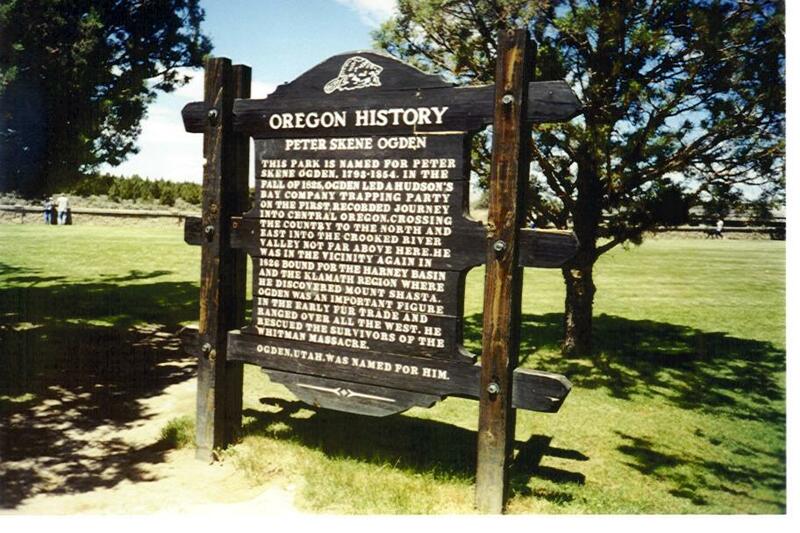 This Park is named for Peter Skene Ogden, 1793-1854. In the fall of 1825, Ogden led a Hudson’s Bay Company trapping party on the first recorded journey into Central Oregon, crossing the country to the north and east into the Crooked River Valley not far above here. 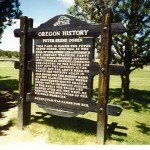 He was in the vicinity again in 1826 bound for the Harney Basin and the Klamath Region where he discovered Mount Shasta. Ogden was an important figure in the early fur trade and ranged over all the west. He rescued the survivors of the Whitman massacre. Ogden, Utah, was named for him.